It’s that magical third Monday in April. The time of year when spring has sprung, even if it doesn’t show up on race day. The time of year when everybody is #BostonStrong. Monday was the 2016 Boston Marathon Monday! This year’s edition featured a good wind and temperatures in the low 70s. The weather was perfect for spectating. Of course, that means it was slightly too hot for the runners. An early tailwind made the runners feel hotter than normal. But having the wind flip around — and get stronger — at the end was no better. And the temperatures dropped almost 10° as well! Anyone finishing after 2 o’clock ran in significantly different conditions than they had started in. The Boston Marathon is a point-to-point course from Hopkinton to Boston. The entire course is net downhill — aka you lose elevation. Ask any of the runners, however, and they will tell you that there’s plenty of elevation. 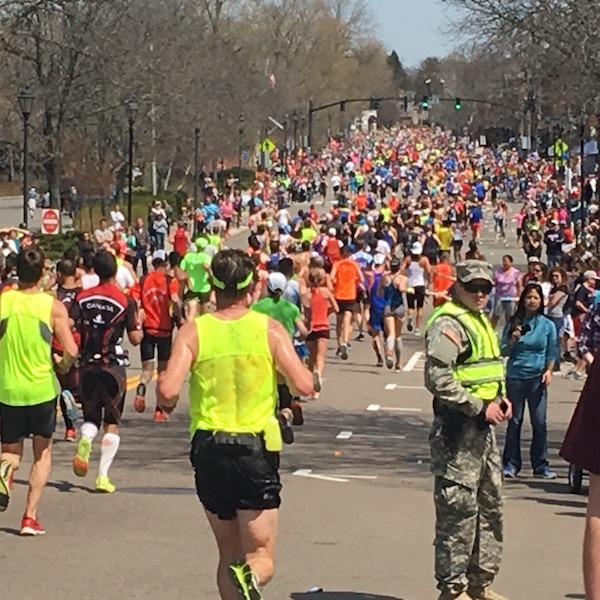 There is almost always an insane amount of spectators relative to any other marathon. This year did not disappoint: the weather brought out even the most fair weather of running fans. Things start to get interesting at mile 17 at the turn onto Commonwealth Avenue: The hills of Newton. As a result, you will see many runner times that start out promising…then fade significantly in the second half. For those of you who ran, or who have run before, seeing a positive split of 10 minutes is pretty much the standard. By positive split I mean slowing down 10 minutes across the last 30 miles of the day. Given the change in wind and the temperature at the start, I would expect to see most people suffer accordingly. 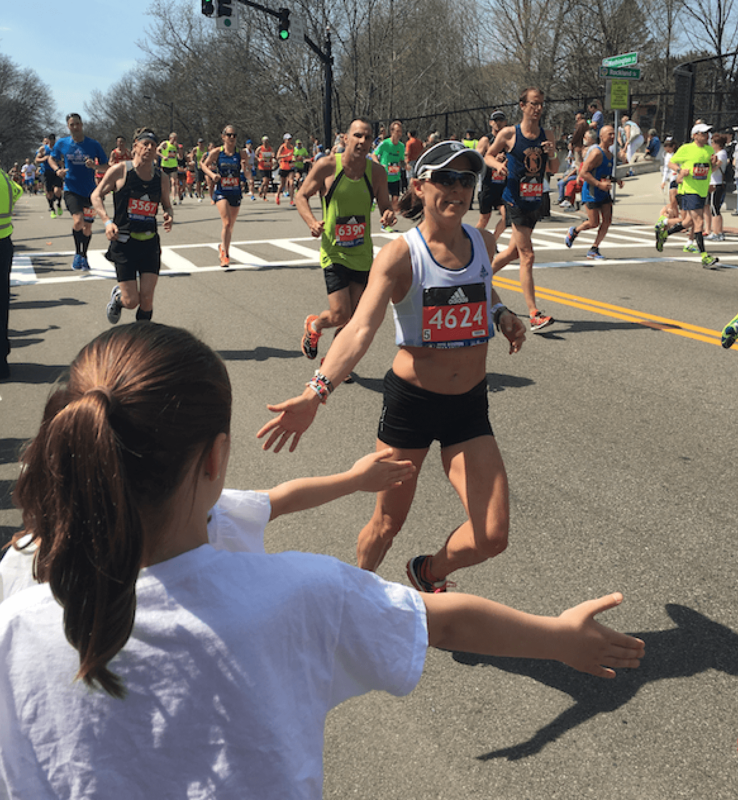 Find Boston Marathon results here. It was great to see our friends and teammates on the course as there were many running. As a New England resident and multiple Boston finisher, the race has a special place in my heart and in our circle of friends. There’s nothing like watching your kid try and set a personal best for high-fives in a single day! Congratulations to everyone who finished and have a happy and speedy recovery while you enjoy the city of Boston.